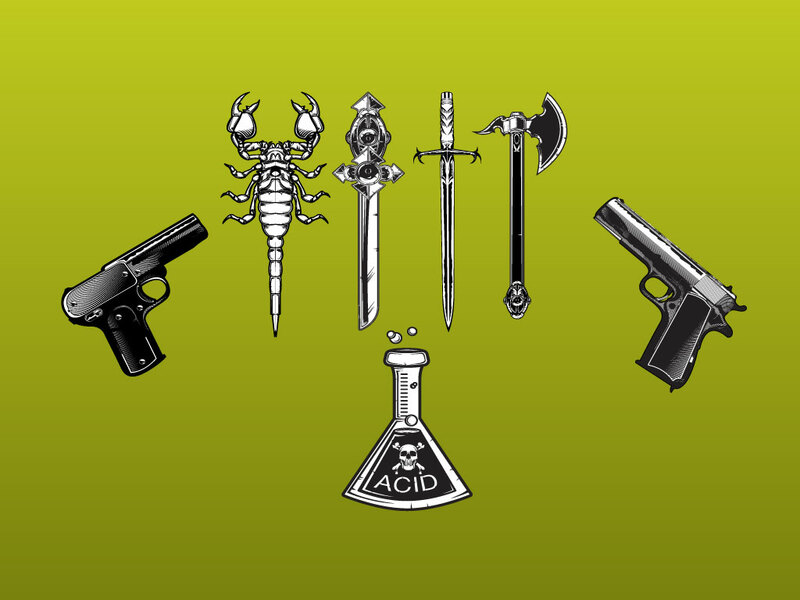 Download these free weapons for your edgy and sinister themed images. Seven deadly vector elements come in this graphic pack and each is finely detailed and will make your designs look great. Artwork featured includes two automatic pistols, an ax, two swords, bottle of toxic fluid and a scorpion. Tags: Ax, Fight, Killer, Killing, Pistols, Poison, Scorpion, Swords, Toxic.